A Wound Of Body is the first chapter in Common Eider, King Eider's Wound 'duology', forming the group's most focused and fully realised work to date. Offering a sprawling, audial exploration of wounds at once physical and spiritual, social and societal, natural and environmental. A Wound Of Body is a beautifully stark soundscape, dolorously dense, suffocatingly oppressive and utterly claustrophobic. An immersive black hole of bleak, cavernous drone music and disquieting, desolate ambience, each track a hushed and harrowing ritual; the surface minimalism underpinned by a churning morass of sound, a layered liturgy of blackened invocations and nebulous strings hovering in the shadows. Presented in a beautiful black and silver duotone sleeve, adorned with images of micro-landscapes rendered in bone, stark images of the alien, otherworldly topography that lurks beneath the skin, emblematic of the inevitable decay and disintegration of our physical forms: the ruin we become, and the ruin we leave behind." The triumphant reawakening of San Francisco's masters of behemoth ritualistic darkness. Within Shrines For The Unwanted, Respite For The Cast Aside, bone, antler, and voice produce connective threads between the worlds, as guitar and percussion punctuate shifts in mood. Voices call to the spirits, and the spirits call back in return. Recorded in 2016 during four private, collective only rituals, the pieces pull the listener through the darkest and most overgrown trails of the blackest forest. Monumental and horizon-less, ritualistic black ambience. Vocal visitations by A.C. Way of Sutekh Hexen. 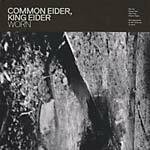 Common Eider, King Eider is headed by Rob Fisk (ex-Deerhoof), Andee Connors (A Minor Forest, legendary aQuarius boss). Spot-varnished digipak. A new ritual from this long running doom/drone/ambient collective, Common Eider, King Eider offering up modern manifestations of ancient energies, channelled into smouldering swathes of ceremonial hypnosis and explosive gouts of blood-red radiance. 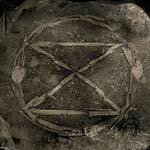 Extinction is an extended ceremonial rite conducted below ground at the Wisp House (R.I.P.). A song suite of psychedelic devotionals assembled from reverb drenched industrial drones, billowing clouds of metallic throb, and churning, rhythmic bombast. Fields of ghostly incantations suspended in the ether, draped over metallic murmurs and moaning melancholia. 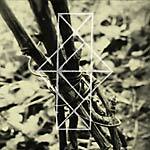 The low end rumble of monk-like chants beneath the soft tangle of keening lamentation. A slowly evolving sensory sacrament, tense and harrowing, punctuated by dense dramatic swells and aching, mournful mantras. 2008 release. Figs, Wasps, and Monotremes is the second Common Eider, King Eider disc by Rob Fisk (Badgerlore, Free Porcupine Society). Recorded winter (2008) in Fairbanks, Alaska, it's full of the kind of bedroom isolation you might expect from a place where during that time of year the sun rises for only about two hours a day. Using mostly violin, guitar and his lovely falsetto, Fisk has crafted a bewitching set of soundtracks for being utterly lost. These passages ring out into the night and last until the moments just before waking. Songs on the brink of implosion, born of soft small movements that billow upwards but still cast an eye towards the occasional outbursts of bleak distortion. Comes in an 3 panel, offset printed folder with silver on white. "Now expanded to a four piece, Common Eider, King Eider have crafted yet another blast of high-end wind chill that whips through the empty spaces in your skull. More stories of flora and fauna that hang beautifully in dynamic rooms of piano, strings, voices; and stargazing guitar explosions born of layer after layer of feedback. This ghost world is all gray and black, with a high condensation of loss penetrating throughout. Moonlight occasionally lights the path, but for the most part, prepare to be lost in the woods. Liz Harris (Grouper) and Tom Carter (Charalambides) on the tracks 'Ennui' and 'Earth Liver' add to the overall sense of dread." Includes poster. "With raw viola, haunting vocals, and noise guitar, Rob Fisk (Badgerlore, 7 Year Rabbit Cycle, ex-Deerhoof) has created an exquisite album that sounds perfectly at home in the natural world between dusk and dawn. Packaged in a hand-sewn book of drawings by Fisk entitled How to Build a Cabin."